There’s an art to pricing and we can guide you. You want it priced just right – not too high or too low. The Chris Tioseco really team will do a complete property profile of your house, including current condition, location, surroundings, special features; a comparative market analysis, and a total market overview. 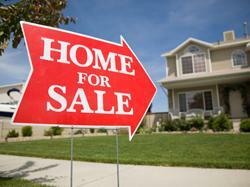 We will do what we can to assess the fair market value of your property so it sells fast while maximizing your profit. Get your house looking great by calling in a home staging company. They will bring in classic furniture or arrange your existing home octets in a way configured to help the sale. Clean, make sure all the widows and bliss are open and try keep cooking smells to a minimum. Trim and neaten the lawn, neaten flowerbeds and get your home looking picture perfect. If there are minor renovations you can do to make the home more attractive, like a loose stair rail or a creaky floorboard, do these before the buyers walk in. The offer will include the price the buyer wants to pay, financing details, ny conditions, inclusions or exclusions. The offers can be “firm” – willing to buy the home exactly as it is, or “conditional” on things like a home inspection, financing or the sale of an existing home. Have a strategy so you know what you’re willing to negotiate on and where you want to settle. This is a great situation to be in, sand you can choose based on price and conditions what conditions best suit you. There are fees you’ll need to pay on closing day which include realtor’s commission, legal fees and disbursements, utility and property tax, mortgage prepayment or discharge fees…and so on. Make sure you hire a professional for the piles of legal documents. If you don’t know one, we can recommend a lawyer who specializes in real estate. Please tell me about the property you're looking to sell, using the form below or by contacting me directly. Let's get started!